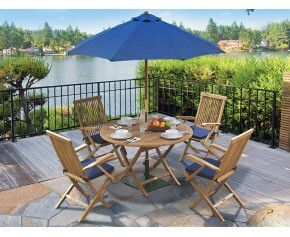 Sturdy and robust, these Suffolk dining sets will provide you with the highest quality al fresco dining. 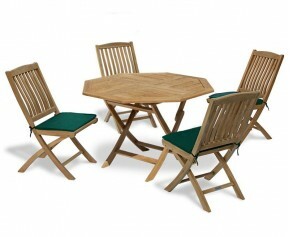 Offering plentiful space for you and your guests, our teak dining tables will look stunning in any setting and can fold flat for easy storage, making them extremely practical and easy. 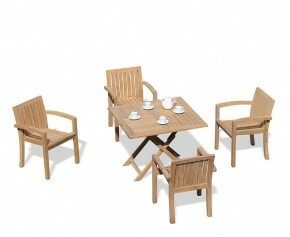 Sanded until smooth to touch, our teak dining tables are made out of the finest grade-A teak, assuring durability and longevity. 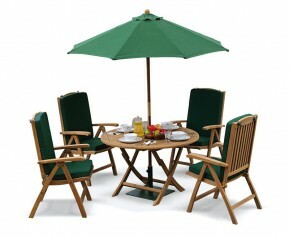 Comfortable, practical and easy to maintain this folding garden table and stacking chairs set represents brilliant value for money. 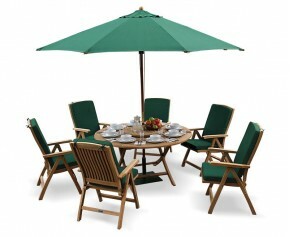 Constructed by experts in sustainably sourced Grade - A teak for long life and aesthetic appeal, this folding garden table and stacking chairs set has been built to last and can remain outside all year round in any weather. 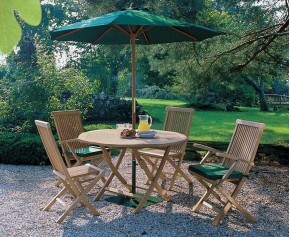 Delight friends and family with this high end Suffolk Octagonal folding garden table and chairs set. 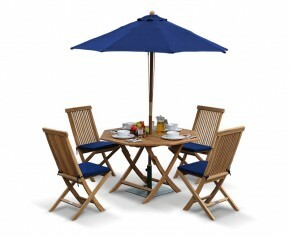 Representing brilliant value for money, this 4 seater dining set offers a superb combination of solid construction and a traditional style that can be incorporated into any outdoor setting for al fresco dining at its best. 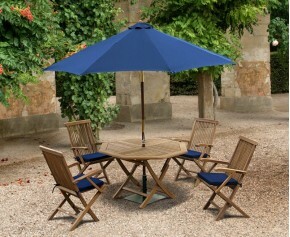 A popular choice, this high end Suffolk round folding table and 6 reclining chairs set offers a wonderful combination of solid construction and a traditional style that can be incorporated into any public setting or discerning garden for al fresco dining at its best. 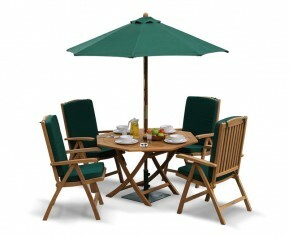 Recline and dine in the ultimate style with the addition of this stylish yet practical 5ft octagonal folding table and 6 reclining chairs set. 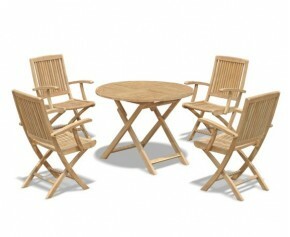 Expertly manufactured in plantation grown genuine A-grade teak for lifelong durability and aesthetic appeal, this octagonal folding table and chairs set is solid, stylish, functional and easy to care for. 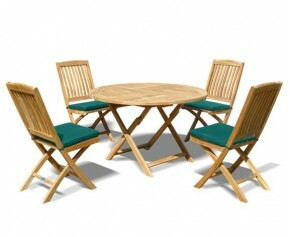 Featuring teak dining tables in a variety of styles and sizes, from round counter tops to octagonal counter tops, you are sure to find ideal Suffolk dining sets to suit your individual space. 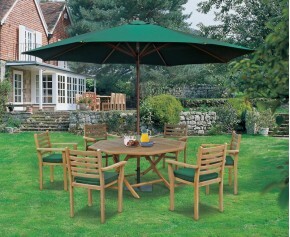 When teamed with our charming parasols, these Suffolk dining sets will look stunning as a focal point in your garden. 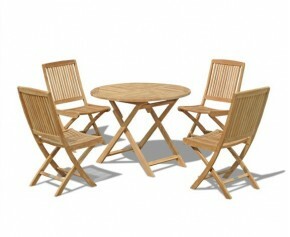 View our range of Suffolk dining sets here.